See the video trailer here. An American March (1941), an abstract meditation on America as melting pot supported by a rousing John Philip Sousa score. Bonus Features hold more rare treasures, including early animation tests from the 1920s, 30s and 40s made in Berlin and Hollywood, and home movies from Los Angeles, circa 1961. 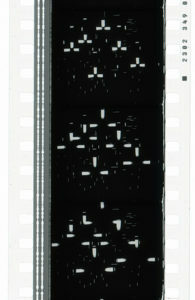 Sequential Frames from Studie No. 8, 1931. Click to enlarge. 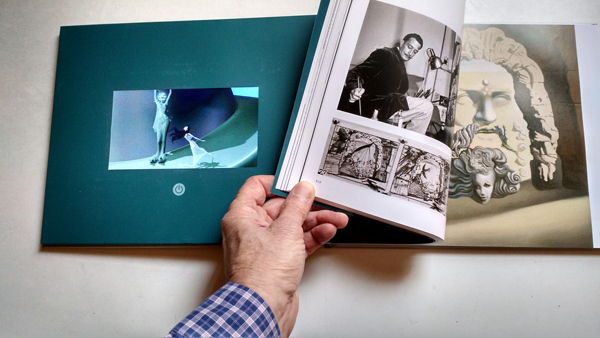 Over the Christmas holiday, author David A. Bossert dropped by New York City with a “special limited edition” of his informative book about Destino, the unusual film collaboration between Walt Disney and Salvador Dali, and their subsequent Odd Couple friendship. The musical animated short, based on original designs by Dali, was worked on intensely before being abandoned in the late 1940s. In 2003, decades after the deaths of both creators (Disney in 1966, Dali in 1989), the Walt Disney Studio completed Destino by referring to Dali’s storyboards and concept art. For the reconstructed film, which became an Oscar nominee, Bossert served as Associate Producer, which gives his book a unique personal perspective. The next Bossert book to get the embedded video treatment, he told me, may be Oswald the Lucky Rabbit: The Search for the Lost Disney Cartoons, the detailed history published last August about of Disney’s pre-Mickey character. In the near future we will likely see more books with implanted videos. Experimental technology is now being tested by Disney and other publishers to allow moving pictures with soundtracks to be “printed” on individual book pages. Brave new world, eh, Edna Ferber? This large format book truly catches the zeitgeist of today’s progressive Women’s Movement. 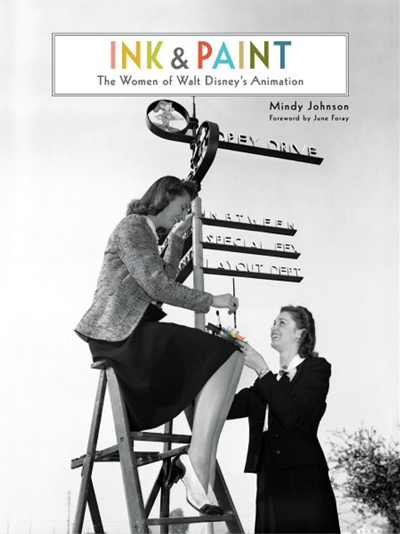 Historian Mindy Johnson’s scholarly, entertaining, profusely illustrated tome focuses on the important contributions made by women at the Walt Disney Studio. Deep research and fresh documentation offer detailed descriptions of the work and lives of formerly anonymous female artists and artisans, and their impact on Disney’s oeuvre. 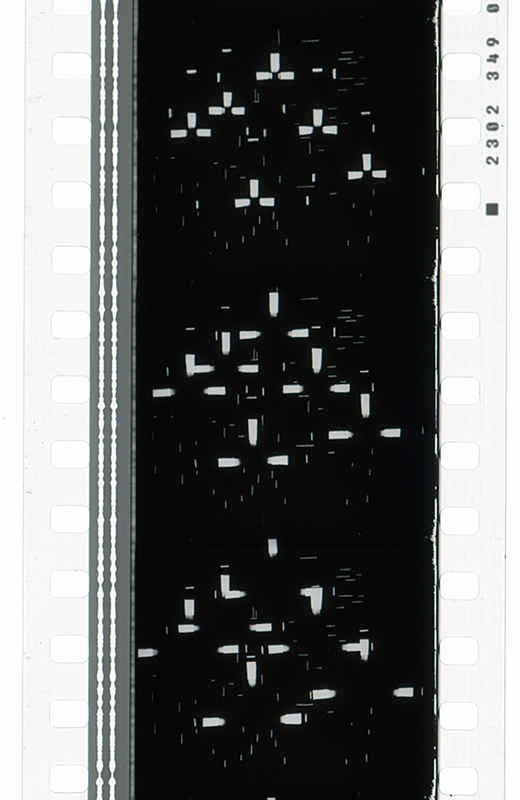 Johnson names many of these women, and thoroughly examines the development of their artful production techniques in applying ink lines and opaque color to celluloid animated film characters through the years. Delving chronologically into the Jazz Age, Great Depression, War Years, Civil Rights Era, and other historical references, the author places women and their jobs within a wide world context. She also offers a succinct history of women working at hand-tinting pre-cinema photos, as well as the earliest film productions (e.g., coloring films for Méliès and Pathé), and she recognizes unsung female animators in studios before and after Walt Disney came on the scene. In her main focus on women’s contributions to art occupations that were once exclusively male domains at Disney — animation, design, background painting, film and sound editing, storyboarding, Imagineering, voice artists, actresses, dancers and models –she includes accomplishments of women within other Disney employment structures, such as publicity, publications and advertising. Mindy Johnson’s Ink and Paint is a comprehensive treasure trove of fascinating information celebrating “women’s work” in the art of animation, one that is long overdue and much needed. A shout-out to Tamara N. Khalaf, the gifted book designer who created appealing designs and cogent layouts illustrating Ink and Paint, as well as the Destino and Oswald Rabbit books. When I was a kid in the 1950s, I loved Harvey Kurtzman and his Mad magazine cohorts: cartoonists who drew wild, satiric action panels lobbing parodic grenades of ridicule at Eisenhower-era complacency and conformity. 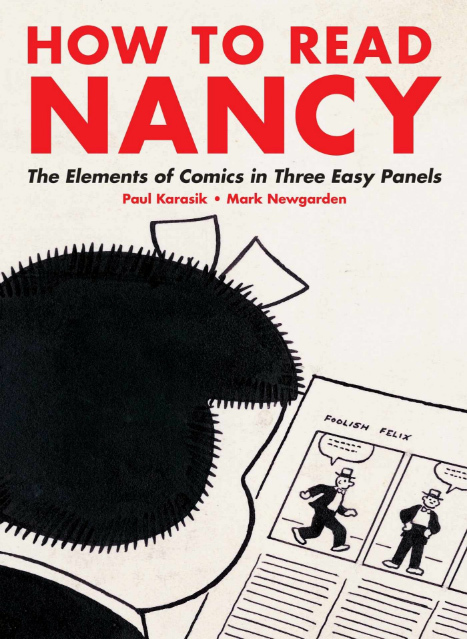 I thought, by contrast, Ernie Bushmiller’s comic strip Nancy was so . . . booorrring. I disliked the minimal, bland design, the lame jokes, the going-nowhere lead characters: chubby Nancy with her porcupine-hair and concrete hair bow, and her chubby pal Sluggo wearing his eternally stupid hat. But now, in the 21st Century of my dotard-ness, my mind has been radically changed toward Ernie Bushmiller’s Nancy strip and characters! It’s all true and it’s all there: how to stage a gag for maximum impact; how to draw strong storytelling poses; how to write succinct dialogue; what to leave in and leave out of a drawing; the staging of action; Bushmiller’s place in the history of comic strips. Their fascinating book is a clarion call for clarity in art — the foundation without which, as Stephen Sondheim says, “nothing else matters.” Cartoonists: buy this book, read it, and live it! Fret not if you missed visiting in person the recent grand, magnificent exhibition of Michelangelo’s drawings at the Metropolitan Museum of Art. 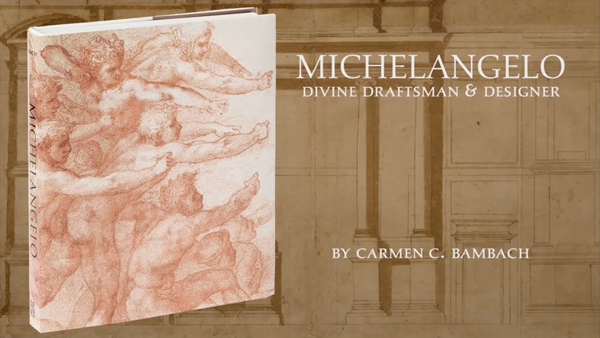 This large book has illustrations of all the art displayed in the show, accompanied by cogent essays written by the show’s curator (Ms. Bambach) and five other Michelangelo experts. 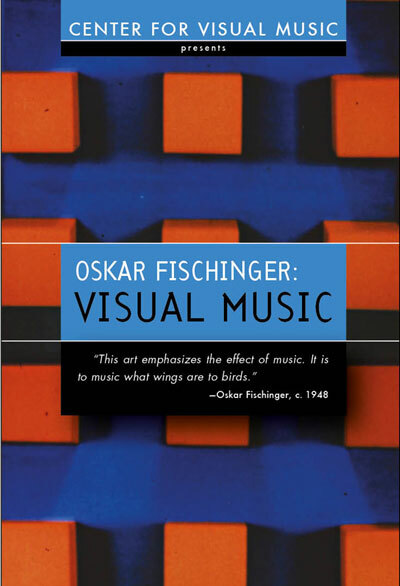 Thank you for your review of Oskar Fischinger: VISUAL MUSIC. This particular collection of his films, is for me, the fulfillment of a long-held wish! Having Dr. William Moritz as my uncle, allowed me to see these films, and many others, at a young age. 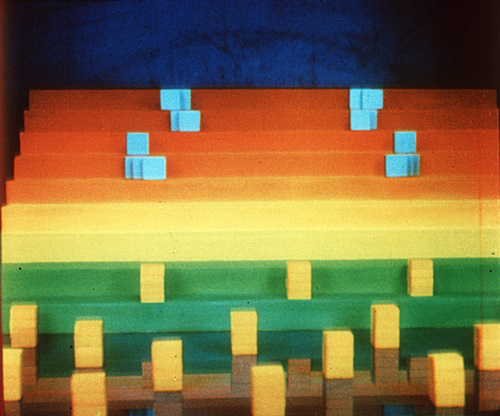 From the time he began his association and friendship with Elfrieda Fischinger, I became a big fan of Oskar’s work, be it films or paintings. I also came to know Elfrieda, visiting her with Bill at the Laurel Canyon house. One time when I asked her about the Muratti cigarette film, she told me how she and others worked on that, using pins stuck through from underneath, and that they were real cigarettes. Since Bill’s passing, I have become a dear friend of Cindy Keefer, and a supporter of CVM. I even remember seeing your interview of both Bill and Elfrieda on your “Camera 3” program, many years ago.